Explore the legacy of Alfred Hitchcock’s leading ladies—their iconic roles, unforgettable costumes, and complicated relationships with the man behind the camera. Whether she is played by Tippi Hedren, Grace Kelly, or Ingrid Bergman, the heroine of an Alfred Hitchcock picture is always the same: stylish, regal, with an elegant yet icy demeanor that masks a fire inside. From his early days as a director in the 1920s to his heyday as the Master of Suspense in the 1960s, Hitchcock had a complicated and controversial relationship with his leading ladies. He supervised their hair, their makeup, their wardrobe, pushing them to create his perfect vision onscreen. Yet these women were also style icons in their own right, and the clothes they wore imbued the films with contemporary glamour. From Kim Novak’s gray suit in Vertigo to Janet Leigh’s thematically symbolic lingerie in Psycho, these actresses and their clothes broke barriers, made history, and transfixed audiences around the world. In this book, Caroline Young chronicles six decades of glamorous style, exploring the fashion legacy of these amazing women and their experiences working with Hitchcock. Meticulously researched and beautifully illustrated with studio pictures, film stills, and original drawings of the costume designs, this book offers revealing insight into a fascinating period of movie history and the relationships between one of its leading directors and his female stars. Caroline Young is a writer and author based in her home town of Edinburgh in Scotland. Her love of film and fashion led to her writing the highly acclaimed book Classic Hollywood Style in 2012, and she followed it up with books Style Tribes: The Fashion of Subcultures in 2016 and Tartan and Tweed in 2017. "It celebrates and studies the women in Hitchcock movies; their influence, semblance and iconography. What’s more, Young also examines the role costume design plays with these women, both the characters and the actresses who played them, and how they can be interpreted as far more than just ‘icy blondes’." 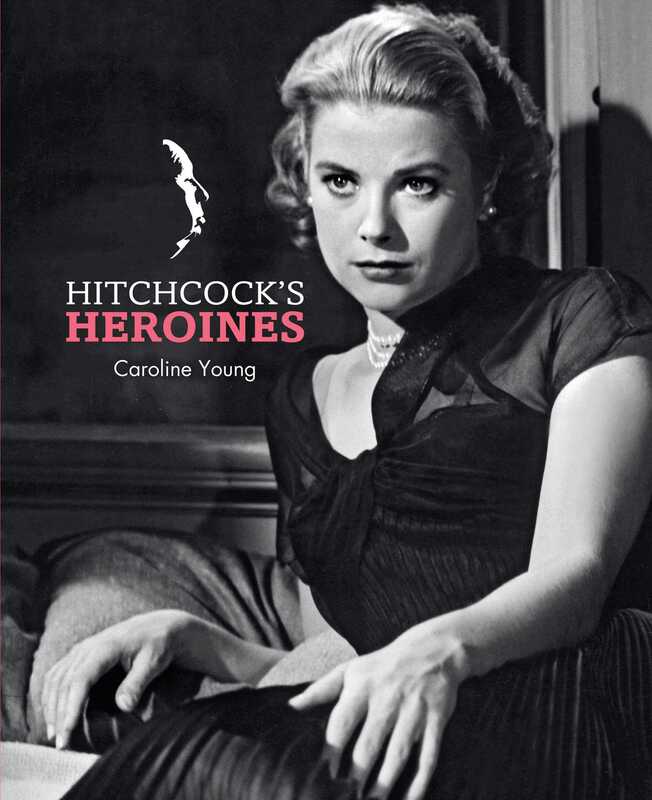 "Thoroughly researched, the information combines Caroline Young's knowledge of fashion and film history, as it draws on the many aspects of Hitchcock's career...it provides a glimpse into the studio system, the scandals that took place behind the scenes, and the importance of the costume designer and make-up artist in a Hitchcock production. Although much has been written about the 'Master of Suspense', this book offers a unique insight into the brilliant and often troubled mind of Hitchcock, as conveyed in his films. A visual treat for film buffs and fashionistas alike."